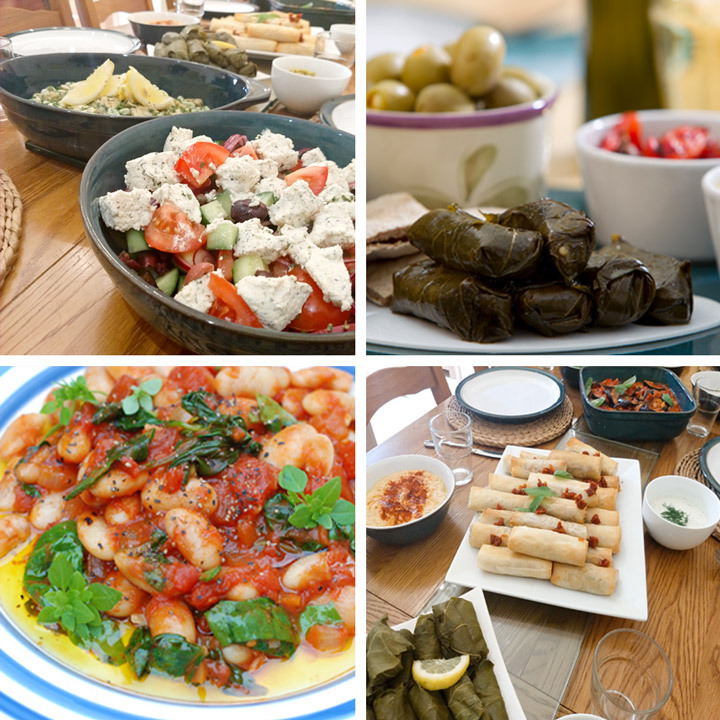 Inspired by Greek cuisine, perfect for summer entertaining and picnics. Learn to use classic ingredients such as olive oil, garlic, lemons, and fresh herbs. The day will begin with coffee at 10am followed by a demonstration. Then we will work together to prepare a selection of sweet Greek pastries. A simple hearty soup will be provided for lunch leaving the whole afternoon to create our mouth watering mezze. This includes a selection of dips and baked aubergine. Learn how to make homemade dolmades. The afternoon ends with a leisurely meal, served mezze style, giving you time to sample all the flavours. "Wow! Lots and lots of different tastes!" "Had a really lovely day making Greek Mezze. Got to make Dolmades for the first time ever! Managed to make a huge variety of food in just a few hours. Lovely to sit and relax and taste everything at the end."